Our safety program is second to none. Our operations eliminate risk and hazards—and keep your project on track. We are committed to providing a program that ensures the personal safety and health of our employees, subcontractors, everyone onsite, and the public at large. We strive to set a new industry standard among comparable construction companies. Accident prevention is our primary focus and will not be compromised based on the demands, schedule, production, or cost of a project. Our safety efforts are an integral part of every activity, every day. We strongly believe all the members of our project team are an important asset and their safety and health is our greatest responsibility. 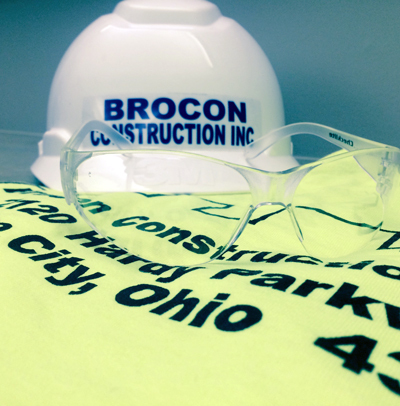 Dependable, quality construction work and safety are what our clients demand—so that is exactly what we deliver. EMR is a number used to analyze future risk based on costs paid for past injuries for an individual company. An EMR of 1.0 is considered the industry average. A lower EMR for a business means lower insurance premiums. We are proud to say that over the past seven years, our EMR has been .5—much lower than the industry standard for safety. And this means a safe working environment, lower risk, and minimized cost for our clients, too.